Riyue Mountain, also known as “Sun and Moon Mountain” is part of the magnificent Qilian Mountain Range. 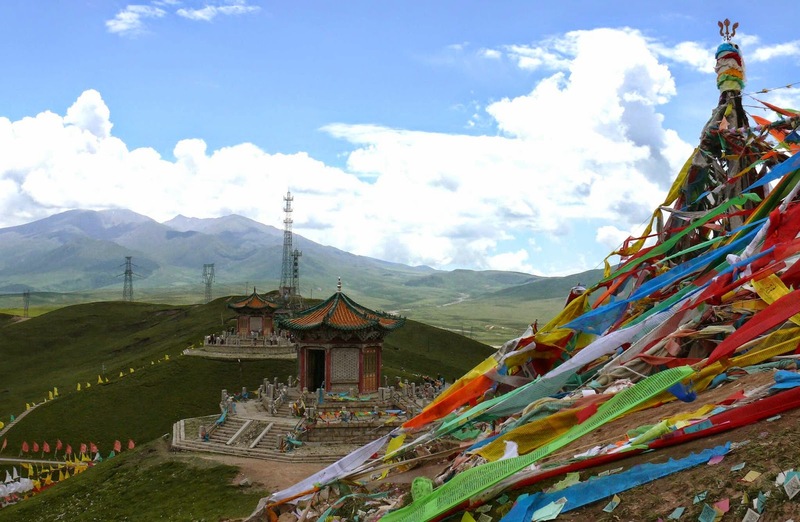 Located in Qinghai Province, this mountain lay at the western part of Huangyuan County. In the good old days, crossing Tibet was possible only by negotiating through Riyue Mountain. It was the main communication point between the Central China, the western region and the south western area of China. Historical evidences suggest that, the route was negotiated by Song Yun, who was a Buddhist monk, to go to India from Luoyang City during the first year of the Shengui reign, under Emperor Mingdi of Northern Wei Dynasty in the year 420, to learn about Buddhism. Again, Princes Wencheng crossed Riyue Mountain to marry the Tubo tribal king, Songsten Gampo, as the legend says! China is undoubtedly a land of mysterious wonders. It may look like a single featured human tribe from the anthropological point of view but people do have various unique cultures and traditions. 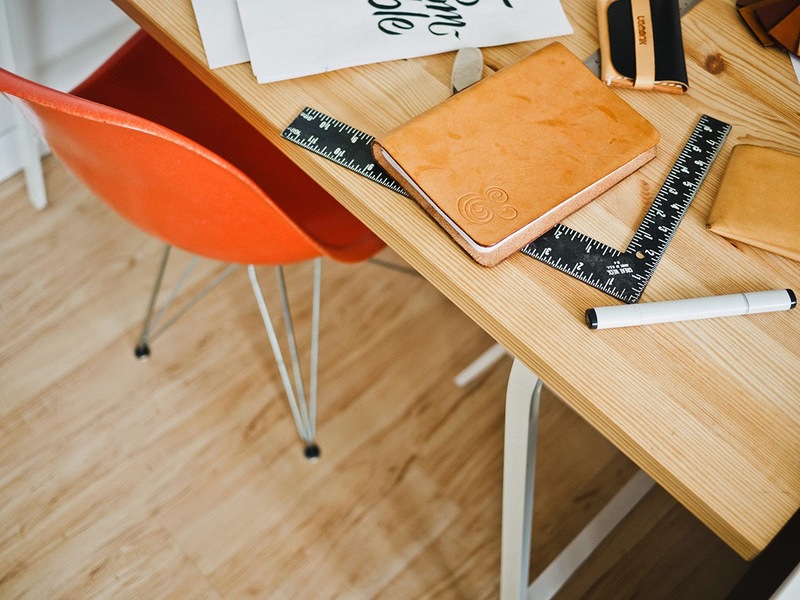 Most of traditions and cultures are developed due to the extreme influence of the nature where they live in. Their costume and food habits are also evident to confirm these arguments. The Riyue Mountain stretch is a cradle of old tradition and cultures with its own identity. 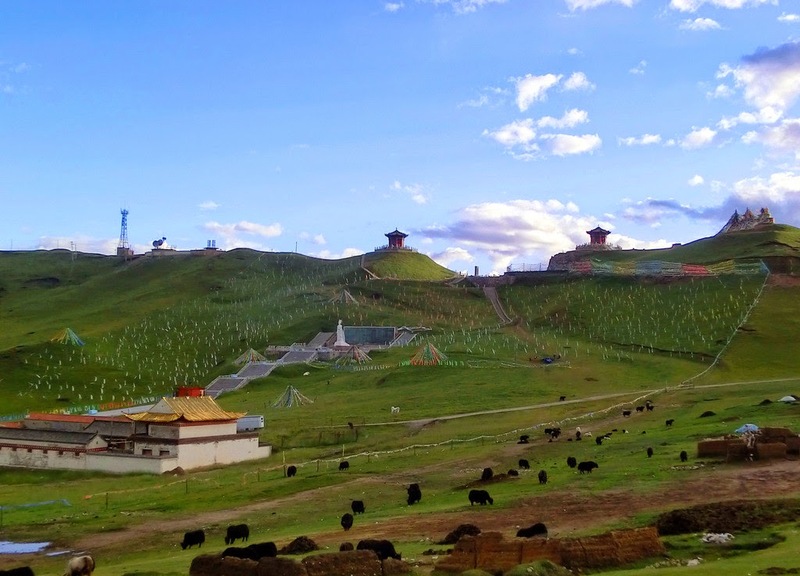 This mountain range is located 40 kilometers southwest of Xining and panoramic view on top of the mountain is a wonderful experience. Located at an altitude of 4,000 meters from the sea level, the unusual mountain is rich with agricultural activities and known for its pastoral areas in the province. The Riyue Mountain is divided in agricultural and pastoral areas. The east side of mountain is Huangshui Valley and famous lake Qinghai is situated to the northwest of the mountain. Vast meadows and scattering tents of local tribes make this mountain one of the rare experiences for tourists. Towards the west of the hill, gracefully flow back to lake is the Datong River. Further down is the Yellow River and the famous gorge, Longyang Gorge. During the Tang Dynasty, who ruled between 618 and 907, the mountain was called as Russet Ridge or Chilling Range. The grassless top is so apt to be called as Russet Ridge, due to the russet hill top. It is indeed one of the best emotional legends that revolve around the mythical story, how the mountain is called as Sun and Moon Mountain. The story is about Princess Wencheng, who passed through Chilling Range; throw the Sun and Moon treasure mirror given to her by her mom after seeing her homeland Chang'an, which is today known Xi'an City. The mirror turned in to Qinghai Lake and her tears formed as River Daotang, the river that flows back to the lake. 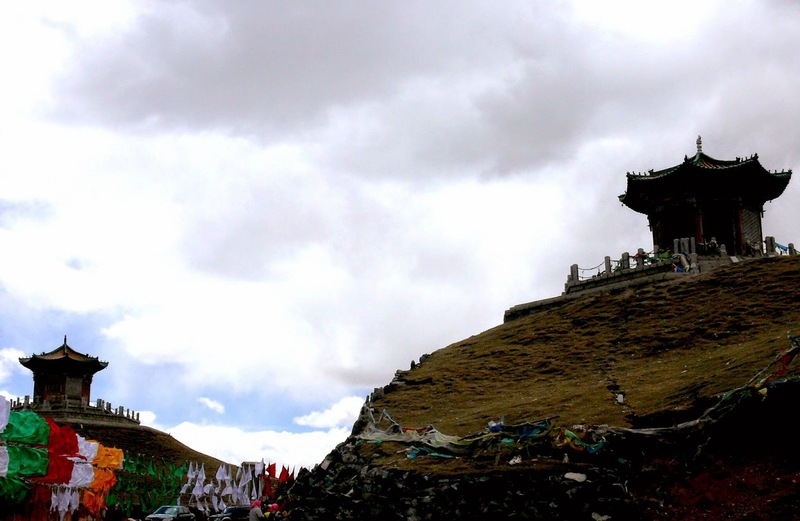 A temple in the name of princess Wencheng could be seen at the foot of the mountain. The best season to visit the Sun and Moon Mountain is during June to September. During this season, the grass will be rich in greeneries and you can see wild flowers blooming all around the area. The Sun and Moon pavilion are built on both side of the mountain pass to commemorate the legendary stories of Princess Wencheng. Moon Pavillion is having more cultural and agricultural importance as you see more agricultural activities in this part of the land. 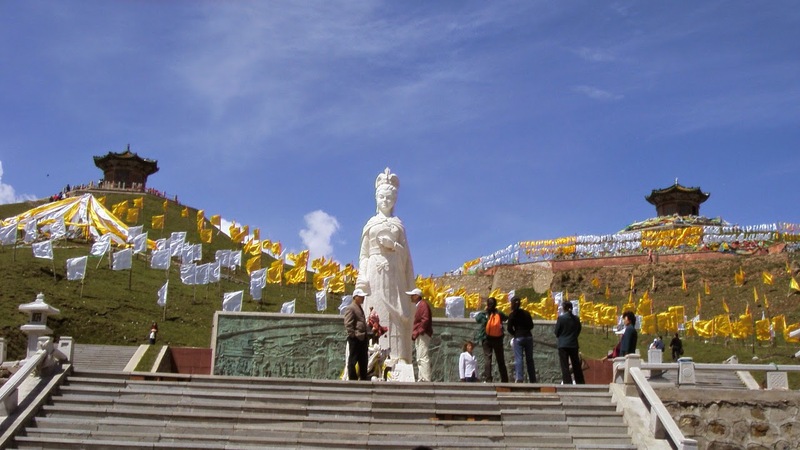 It is believed that Princess Wencheng brought to Tibet, technology, medicine, seeds for agricultural purpose and of course Buddhism.